Select from our most popular customizable date stamp templates! 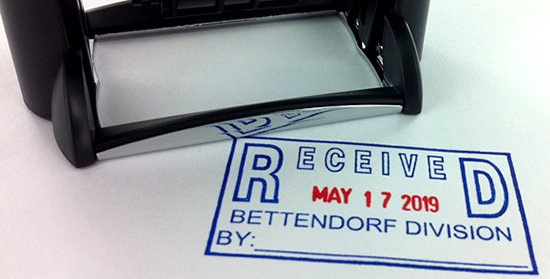 Personalize self-inking date stamps of FAXED, RECEIVED, PAID and ENTERED and additional text below rotating date. The images shown below are not to scale. Up to 2 lines of text below date. - Plate size: 1.2 in. by 2.15 in.